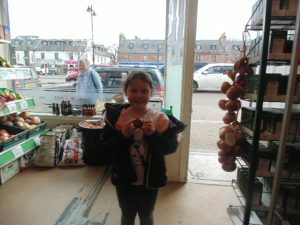 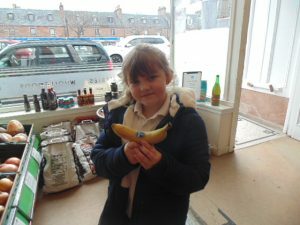 Visit to the Fruit and Veg Shop. 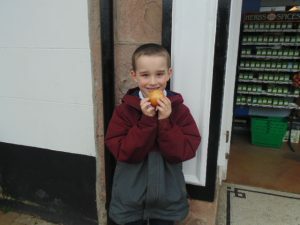 Primary one and two are all going to be taking turns this week to go to the Fruit and Veg shop to buy a piece of fruit. 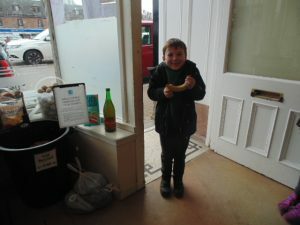 They will be counting the money we give them to spend, then checking to see what they can afford to buy and finally counting out the correct money. 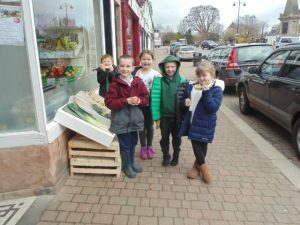 Today Primary two went to the shop. 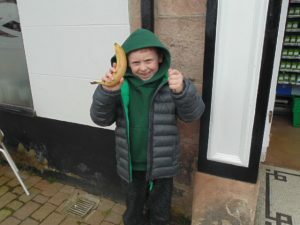 Bananas were a popular choice.